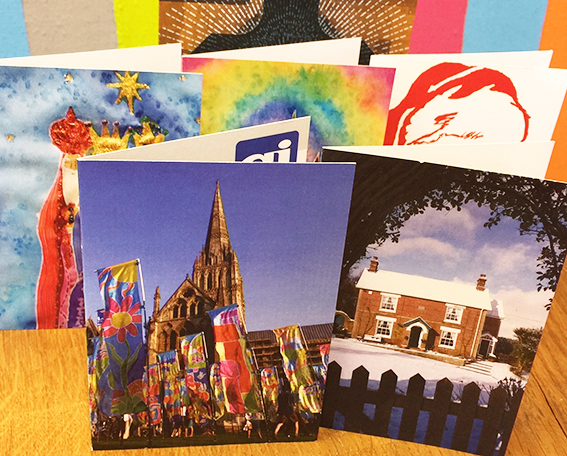 Eco Print your Christmas Cards, A6 (105mm x 148mm folded size) portrait or landscape*. We always try to print using vegetable oil based ink on our litho printer however, smaller quantities are printed digitally. We only print on recycled or Forest Stewardship Council approved card, depending which is available at time of printing. Why not go double-sided and add a message on the inside? *Cards are always folded on the long edge whether portrait or landscape – please bear this in mind when producing print files for landscape cards or the back may appear upside down.